Whether you suffer from chronic lower back pain caused by flat feet or your balance is bad due to diabetic neuropathy, custom fit orthotics may be the perfect solution. Joe Griffin, DPM, CWSP, FAPWCA, is a highly-trained podiatrist and wound care specialist with years of experience creating custom orthotics. At Coastal Foot Center in Daphne, Alabama, Dr. Griffin creates orthotics and braces specially designed for your unique foot shape. Call the office today to learn more or book your initial consultation online now. Orthotics, sometimes called orthoses, are any device that’s put in a shoe to correct your standing or walking pattern. They’re used to fix abnormalities or irregularities in your gait, as well as improve how you stand, walk, or run. Depending on your circumstance, Dr. Griffin may suggest particular types of orthotics or arch supports. If your irregularity is mild, over-the-counter inserts may provide enough support to reduce your symptoms. If your condition is severe, you may need custom-made orthotics or braces that are designed to fit your unique foot shape and size. Who needs custom orthotics or braces? 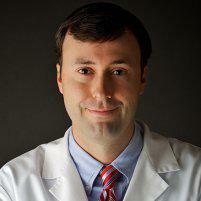 Dr. Griffin may prescribe rigid orthotics, often made of plastic or carbon fiber, to modify how your foot moves. These hard inserts control the motion of two crucial foot joints and reduce pain that occurs in the legs, thighs, or lower back. If you have diabetes, arthritis, or a deformed foot, Dr. Griffin may recommend soft orthotics to absorb shock and improve your balance. If you have sores, these inserts may be able to reduce pressure on the sores, thus reducing the pain. By combining soft cushioning with a rigid insert, semi-rigid orthotics can provide balance and correct irregularities in foot placement and function. Dr. Griffin often uses these orthotics for children with flat feet or who have in-toeing or out-toeing disorders. He may also recommend them for athletes who experience pain in or as a result of performing their sports activities. If the shape or movement of your feet cause you pain, go to a podiatrist who makes custom inserts. Call Dr. Griffin’s office today or book your appointment easily online.